In case you missed our last announcement, CIRCUS 1903 - The Golden Age of Circus arrives at the Regent Theatre, Melbourne in January 2017. 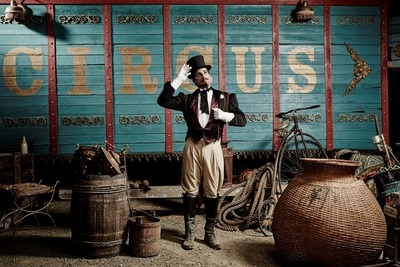 CIRCUS 1903 - The Golden Age of Circus, which premieres in Canberra this December, moving onto Sydney, and then Melbourne, before jetting off to Los Angeles and New York, is an unmissable show. Filled with all the wonder of yesteryear's circus, coupled with ground breaking theatrics and puppetry, CIRCUS 1903 - The Golden Age of Circus is a family friendly extravaganza unlike anything you have seen before. 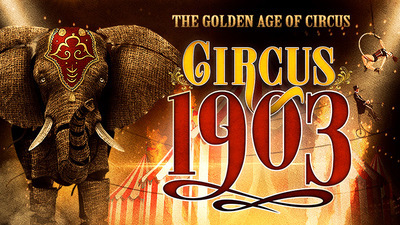 CIRCUS 1903 - The Golden Age of Circus brings elephants back to the ring. Dear not fear, animal lovers, no real animals are used in the show, but instead two realistic and stunningly beautiful elephants puppets; a mother and calf, come to life on the stage thanks to the same model makers who created the National Theatre’s War Horse. KidTown Melbourne is proud to offer you the opportunity to win a Double Pass ($101.65 each, $203.30/double pass) to see CIRCUS 1903 - The Golden Age of Circus at the Regent Theatre for the 7pm session on Tuesday 3rd January, 2017. To enter, simply email us on kidtownmelbourne @ gmail.com with CIRCUS 1903 as the title of your email. The competition will remain open until Saturday 19 November, 2016.